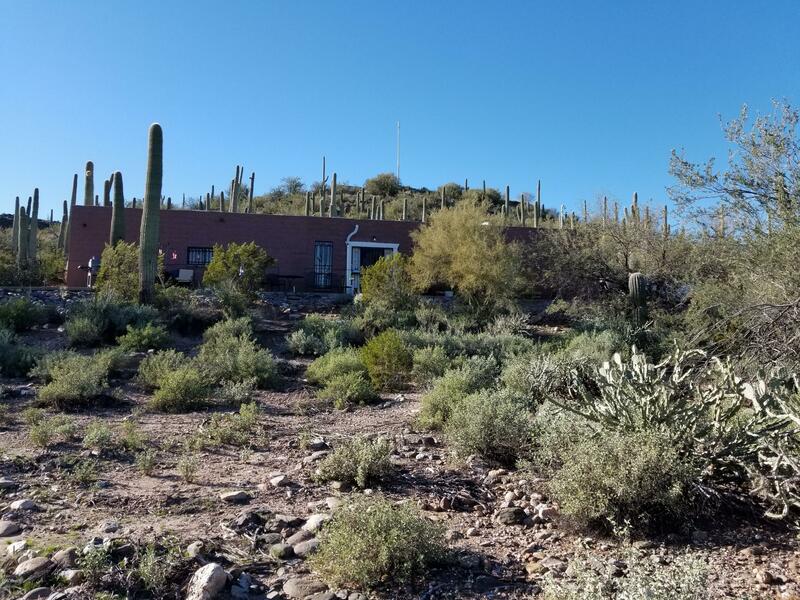 All Black Canyon City homes currently listed for sale in Black Canyon City as of 04/26/2019 are shown below. You can change the search criteria at any time by pressing the 'Change Search' button below. 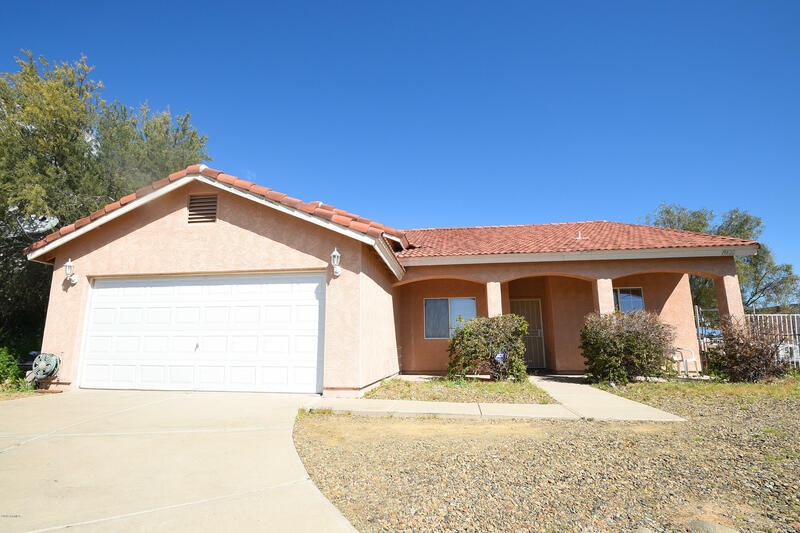 If you have any questions or you would like more information about any Black Canyon City homes for sale or other Black Canyon City real estate, please contact us and one of our knowledgeable Black Canyon City REALTORS® would be pleased to assist you. "5 Acres of fully fenced USABLE Hillside! Fantastic value. You couldn't replicate in the high $800's. DO NOT MISS THE DRONE & VIDEO TOURS! 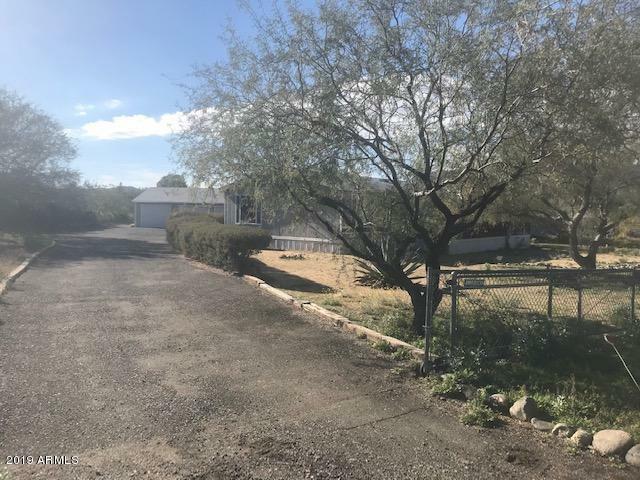 Minutes from the I-17 freeway! City Water with excellent production. Just past the electric gate, a gentle winding driveway begins the melody- this Estate sings beautifully. 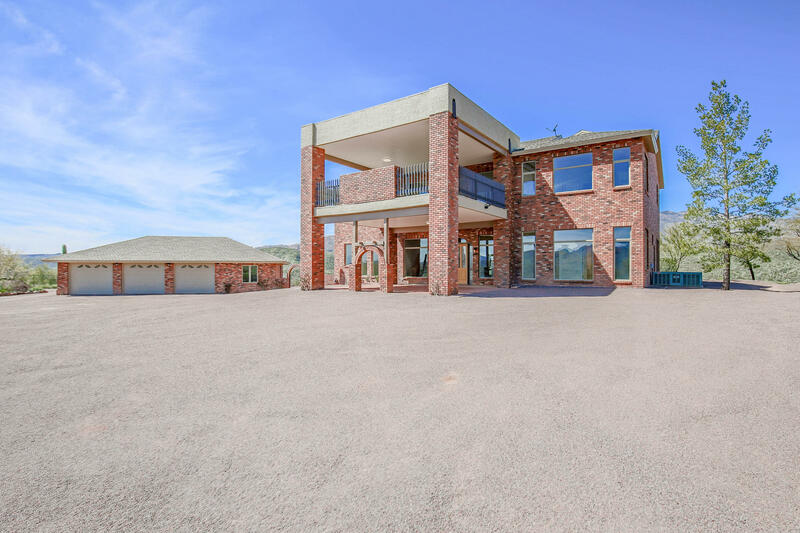 Dramatic Thumb Butte and rock formation views are prevalent from the wrap around patio and oversized windows of the great room floor plan of this HILLTOP HOME! 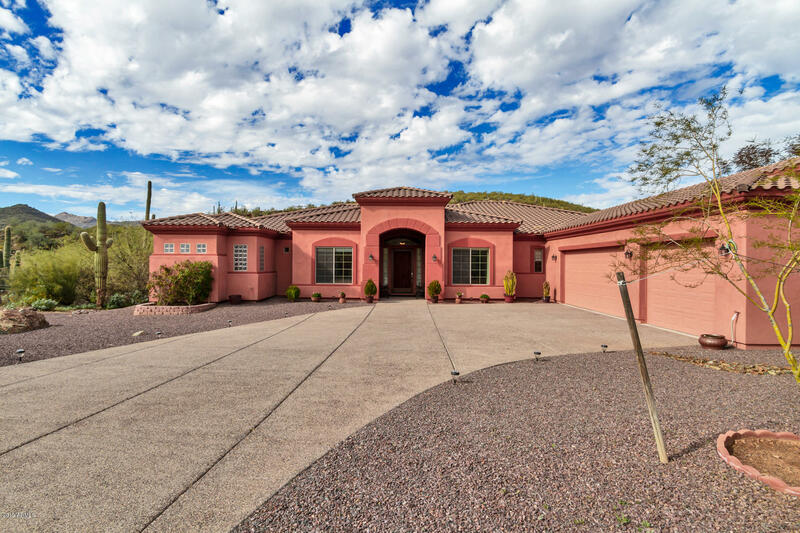 12' ceilings, elaborate f"
"MOUNTAINTOP HOME on 1.6 acres w/ abundant privacy and endless views. Soak up sunrises and sunsets over mountaintops, desert mesas and city lights. 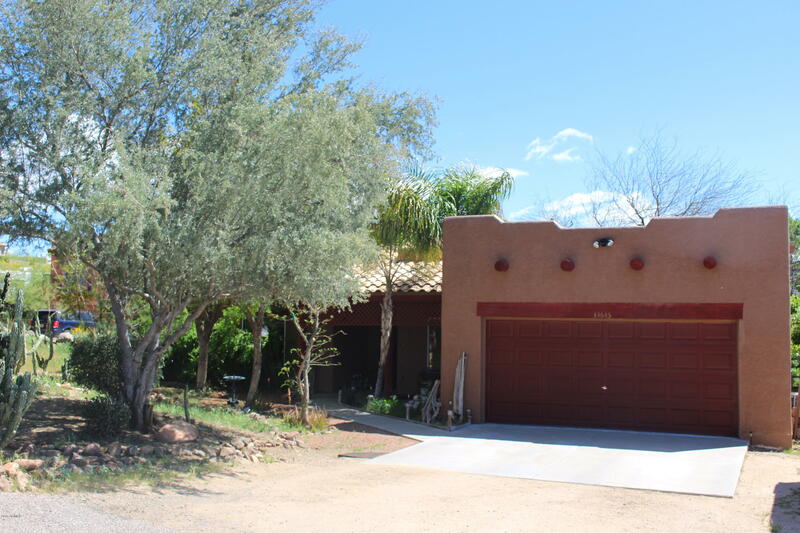 Estate boasts 4-bed/3.5-bath Main Home, 1-bed/1-bath Casita and 3-car Garage. Main Home offers open layout between expansive kitchen and great room w/ fireplace and access to rear deck and pergola. Master retreat has its own fireplace, private view deck, 2 walk-in closets, double-sinks, walk-in shower and soaking tub. 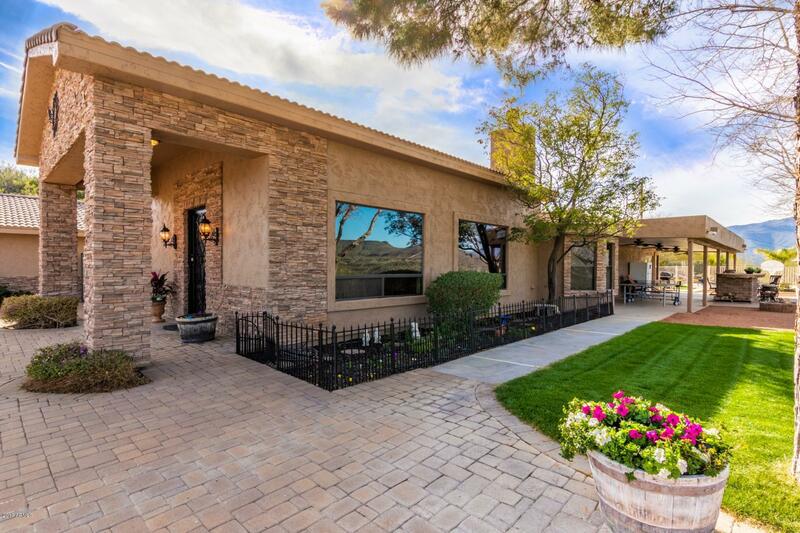 Second master has full bath, doub"
"Gorgeous custom gem tucked into the Bradshaw Mountains with desert & mtn views! Gourmet kitchen has 2 islands, custom cabinets, upgraded appliances, 2 sinks, double oven & walk in pantry. Relax in the library with coffer ceiling, custom shelvings and gas fireplace or enjoy entertaining in the game room. Large master suite has 2 walk in closets, snail shower and a private bonus room (office, craft, or exercise room). Italian tile, central vacuum system, water softener, security system, butler's p"
"Spectacular Views ,Incredible Sunsets. Very Private. Overlooks Deep Canyon Ranch. Beautiful overlooks of the Bradshaw Mountains and the Agua Fria National Monument. Open Great Room concepts, kitchen boosts beautiful Hickory cabinetry with Granite Counter tops. Self sufficient guest quarters extended 2 car garage Expansive covered patio great for entertaining. Rv parking and hookup. This is a must see.!!!" "BEAUTIFUL HILLTOP CUSTOM HOME! As you enter this Gorgeous Home you will discover that it has been strategically built for your Viewing Enjoyment of Beautiful Views from every room; especially the Gourmet Kitchen, Breakfast Nook, and Family Room! Intricate Details throughout start with Travertine Tile Entry Motif, 18'' Tiles, Travertine Base Boards, Archways, and Custom 2 way Rock Fireplace with Beautiful Wood Mantle. Gourmet Kitchen offers Custom Knotty Hickory Cabinets, Built in Oven and Mi"
"Tucked away in the hills of Black Canyon City, this home is your diamond in the desert. This custom home is surrounded with the old style hacienda adobe wall. Mature desert plantings abound! Laminate flooring, a neutral palette and custom vanities in the en-suite are only a few of the features you will love! This kitchen will surely inspire your inner chef with the oversized island/bar and stainless steel appliances! Cozy up to the fireplace in the living room on those cool mountain evenings." "Just 20 minutes north of Phoenix sits a custom-built home with majestic views. 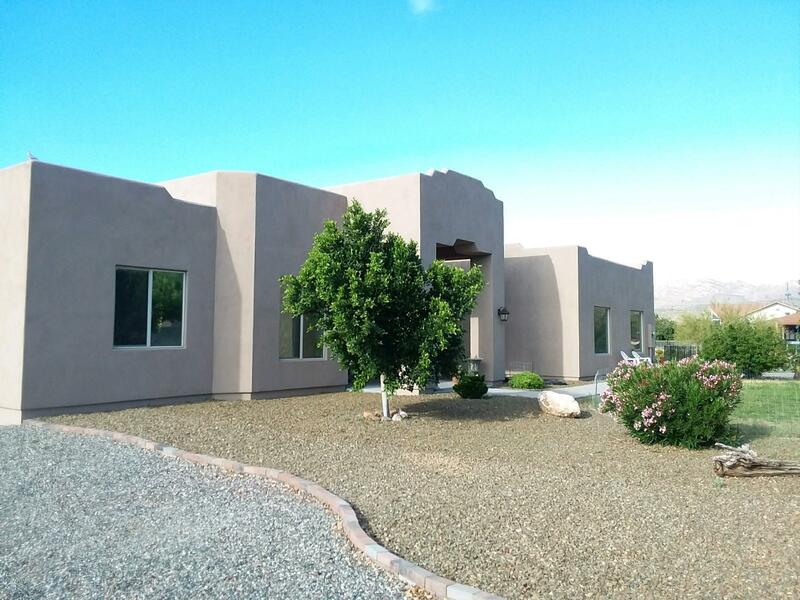 4 bedrooms, 2 full baths, a fireplace and 3.48 acres of beautiful natural desert landscape will meet all your ''get out of the city'' desires. Breathe the fresh air while enjoying nature right out of your front door and be greeted by quail, hummingbirds and cotton tails. This quiet and serene home has an open floor plan with split bedrooms and ceiling fans throughout. One of the bedrooms has been converted into a ga"
"HILLSIDE HOME WITH BREATHTAKING MOUNTAIN VIEWS! 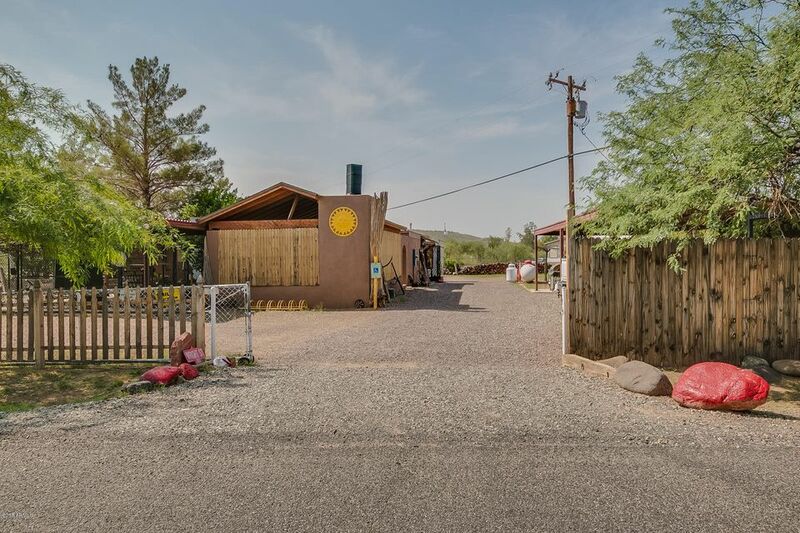 Perfectly situated on over a half acre, this classic Sante Fe home is everything and more! Open floor plan with three bedrooms plus a den with double doors that can be used as a fourth bedroom and two baths. Spacious living room that has southwest touches with 10' ceiling and natural pine lodge pole vega beams, wired for theater sound and a beehive fireplace! 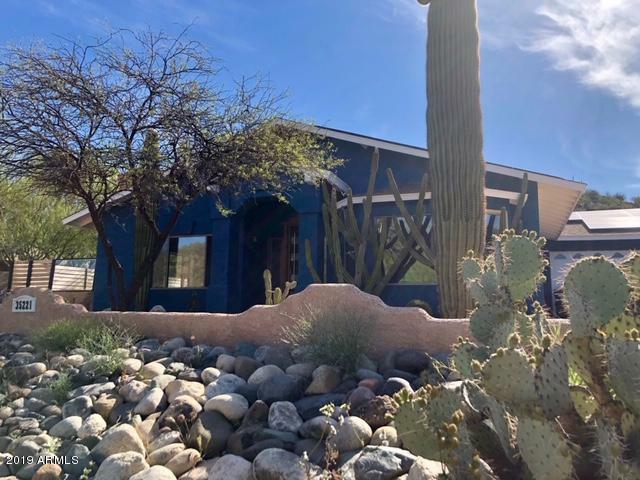 Large covered patio that faces East that is perfect for afternoon gatherings!Two car gara"
"Think bunker meets RV park meets perfect AirBNB property. Whether you are looking to get away or looking for a secondary home this amazing opportunity is second to none. Situated in the middle of the State, Black Canyon City is such a unique city for anyone looking to get out of the city or to call (a secondary) home. With miles of National Forest nearby that supports, ATV, horseback, hiking biking, or any other outdoor event you can think of, this is a great place to be. And if that is not e"
"Very beautiful home with decks on 3 sides of home. Separate 2 car garage with separate work shop. Nice views of the Bradshaw mountains. Quiet neighborhood. A must see property." "Perfect family home! Or ready for retirement? Ideal home for both. You can reduce your mortgage by moving only 10 miles north of New River, to amazing prices.! Have your cake and eat it too, All your shopping needs in nearby Anthem. Three bedrooms, 2 baths, 2 car garagge. Open great room with vaulted ceilings with 9 foot ceilings in rest of home. Open kitchen with breakfast bar. Covered patio and rear yard fully fenced. North South exposure. No HOA! Don't miss this well priced home. Call for y"
"IMMACULATELY MAINTAINED INSIDE AND OUT! From the moment you first pull up, you will immediately recognize that this home has been LOVED! 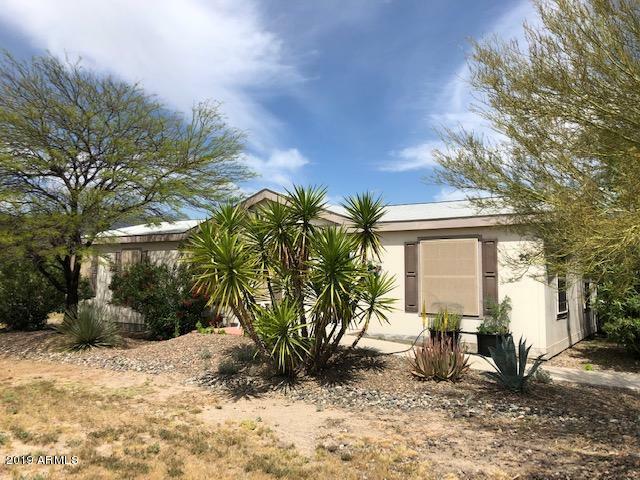 Kitchen is beautiful, bright, open and has been updated with custom cabinets, counter tops, flooring and appliances, Formal dining area, sunken living room, the large bonus room is being used for a pantry and storage. The over sized Master bedroom has a large master retreat that is currently being used as a home office. With a huge workshop/storage on the si"
"Calling all investors! Want a turn key home with a tenant in place? 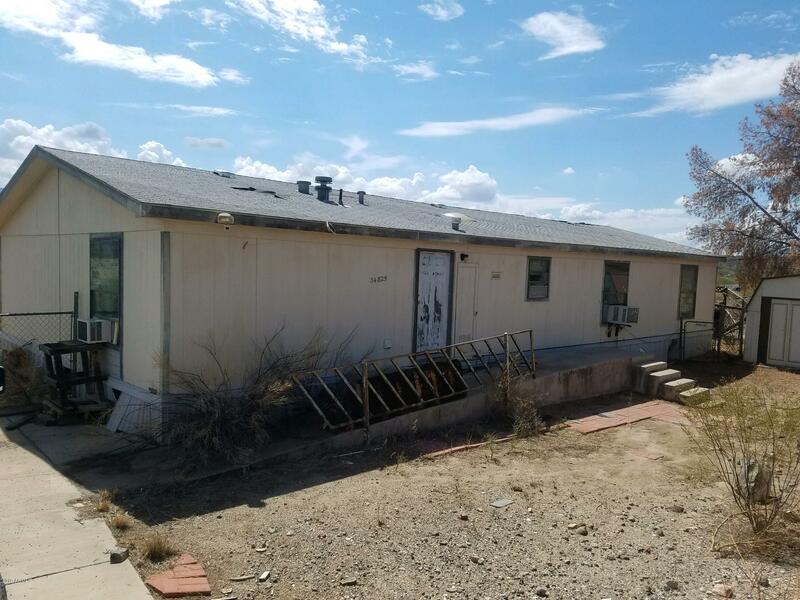 Check out this income property in Black Canyon City! 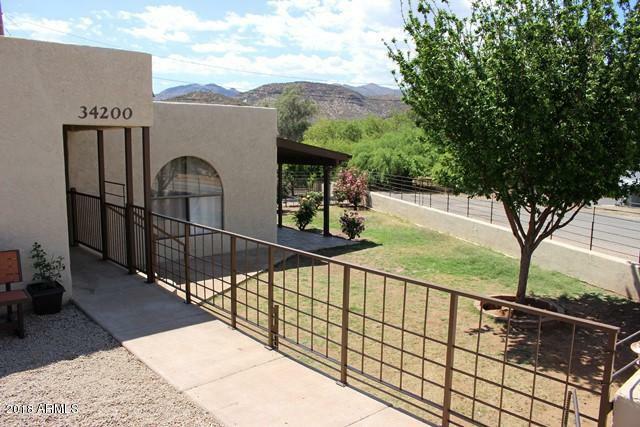 Beautiful 4 Bed 2 Bath + Den Home on Nearly 3 Acres w/ Gorgeous Mountain Views. Horse Property! Two Large Living Rooms, Wood-Burning Fireplace, Spacious Kitchen w/ Island and Ample Cabinets. Master Bdrm w/ Walk-In Closet, Garden Tub, and Walk-In Shower. Ceiling Fans on Vaulted Ceilings Throughout. Tiled Kitchen, Carpeted Living Rooms and Bedrooms. Freshly Painted Exterior. 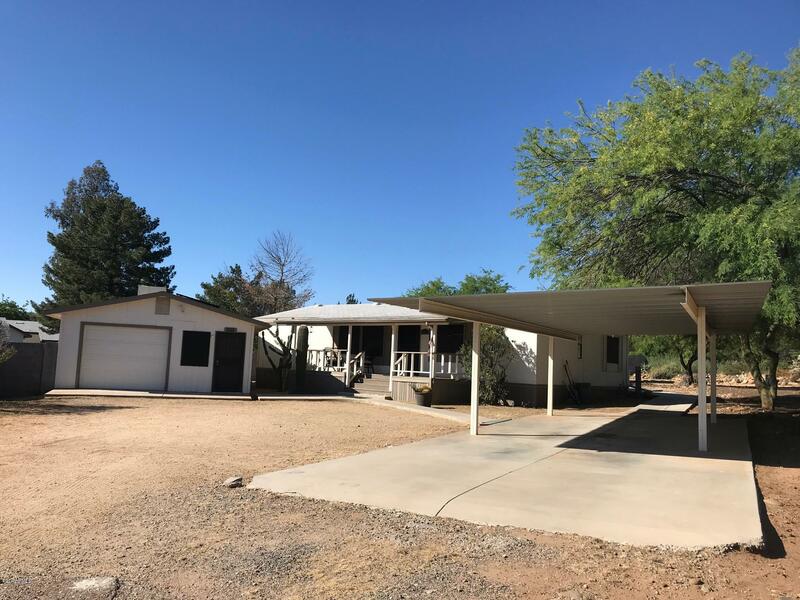 Al"
"Nicely updated with 3 bedrooms and 2 baths on a large .43 acre lot! This 1998 home has beautiful large porches on the front and back, and vaulted ceilings inside, which make it feel light and bright. New tile flooring, new paint inside and out and stainless steel kitchen appliances. It is on a dead end street and the yard is fully fenced. It is affixed with a block stem wall. You won't believe the large 420 SF building in the rear yard you can use for a workshop/storage, etc. This is a ve"
"DON'T WASTE ANOTHER MINUTE LOOKING...THIS IS THE ONE YOU HAVE BEEN LOOKING FOR!!! Located on a quiet cul-de-sac, this charmer is going to grab your heart and make you fall in love! 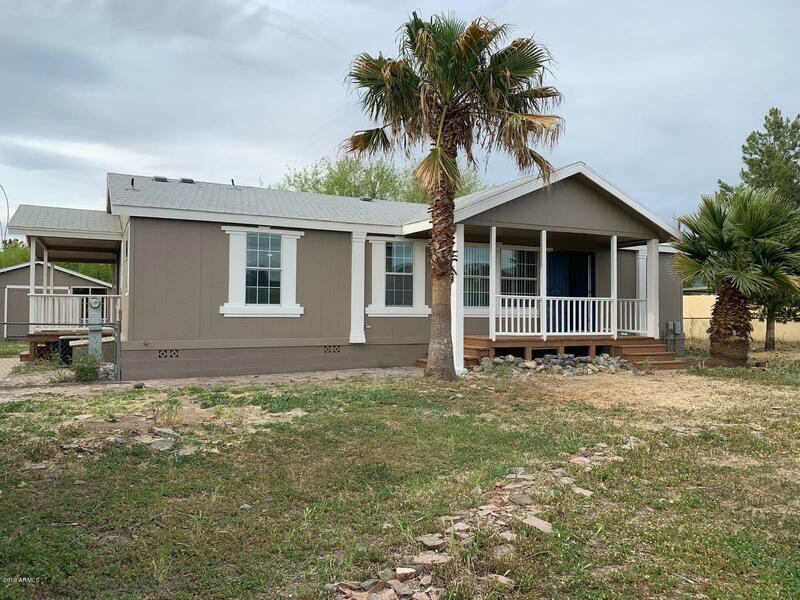 The front covered deck welcomes you to a great open floor plan with great room, split bedrooms and an over-sized laundry room with office space. Bedrooms, bathrooms and closets are perfectly placed and just the right size! Back covered deck will make you feel like you are sitting in a peaceful park. Over-sized shed/wo"
"Here is a lovely elegant home for your consideration. Remodeled all the way, absolutely charming. It's age allows for the seclusion offered by the tall trees and willows which enclose this place. Tremendous views, great surroundings, fenced in circle drive, privacy, quiet, peace envelope you here. A double garage with remote. 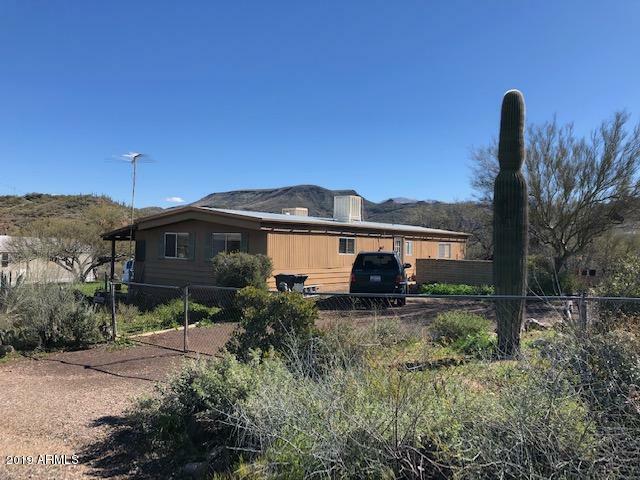 A few of the notable items replaced, septic tank, gas lines, hot water heater, roof coating, appliances, stunning vinyl planking flooring, carpet, cabinets in kitchens, cab"
"Stellar Views from this great horse property! 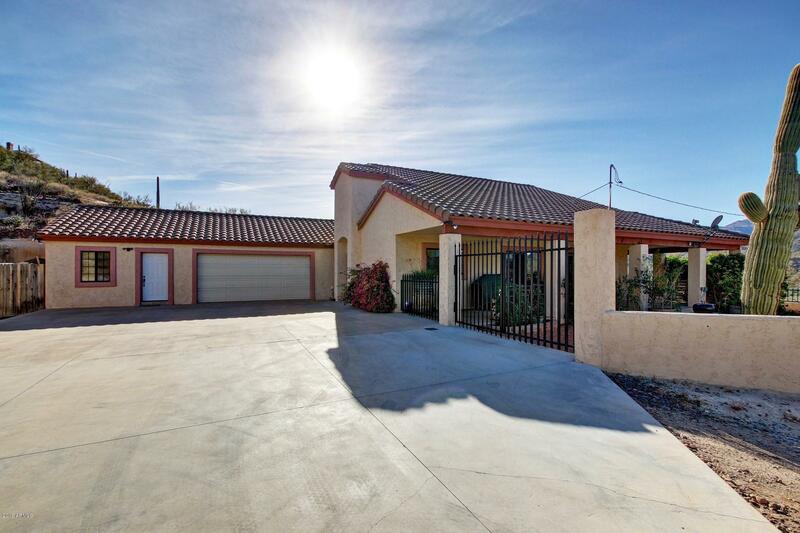 Roomy master bedroom, tile throughout, expansive screened front porch, cement pad in back for BBQ and entertaining. Home needs tender loving care so bring your tools and dreams to this one and make it Yours!" "Here's an interesting one for your consideration. 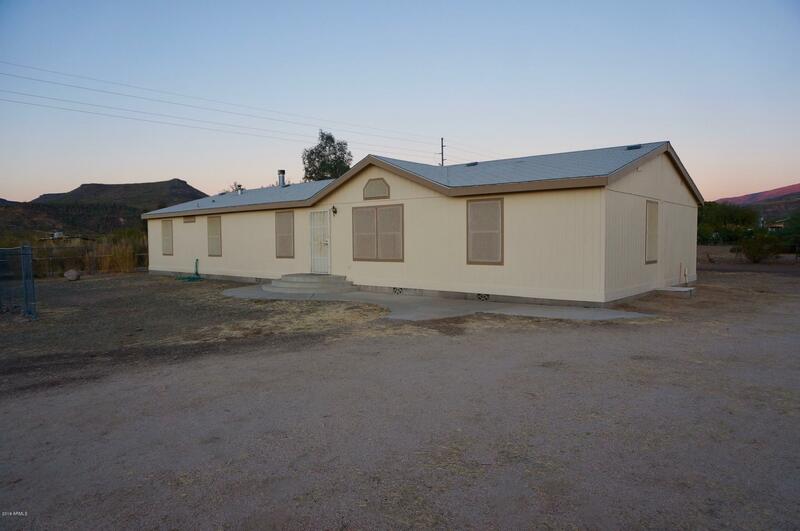 789 sq ft in this 2 bedroom 1 1/2 bathroom home - another 300 sq feet of add on enclosed space, plus a carport. So over 1200 sq ft under roof. It's a normal house, in good shape for its age. Too much stuff, cluttered, you need to look past it and imagine your stuff here. But look further for the gem inside.What makes this a special investment is the zoning. RS Zoning- means you can run many kinds of businesses out of this home. Downtown Zoning. A"
"This cute abode is waiting for you. Originally 673 sq ft with large additional bedroom and huge family room with wood burning fireplace. New heating and cooling unit, newer kitchen, in great shape, wood floors and carpet. 4 workshops/sheds. 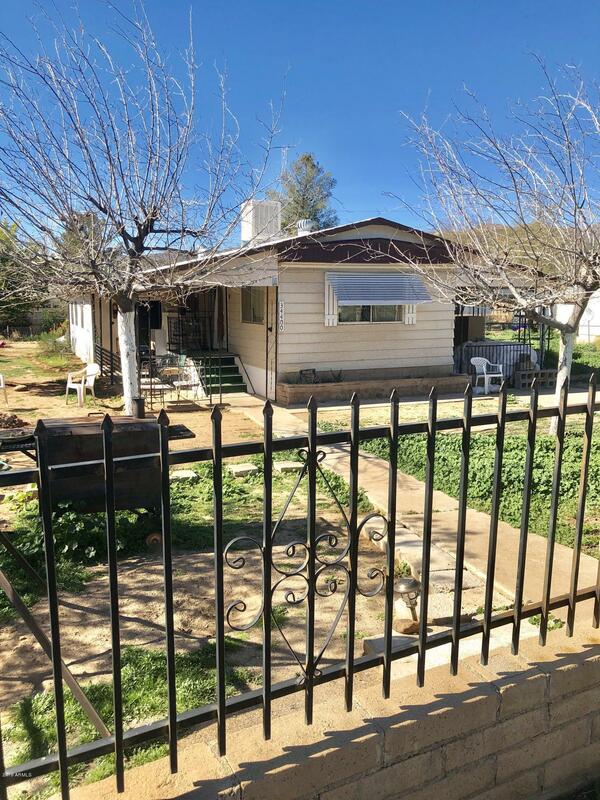 2 car carport, great mountain views. 3 decks. Needs some exterior paint where it was recently painted but is peeling. 2 decks have been reworked, one still needs work. 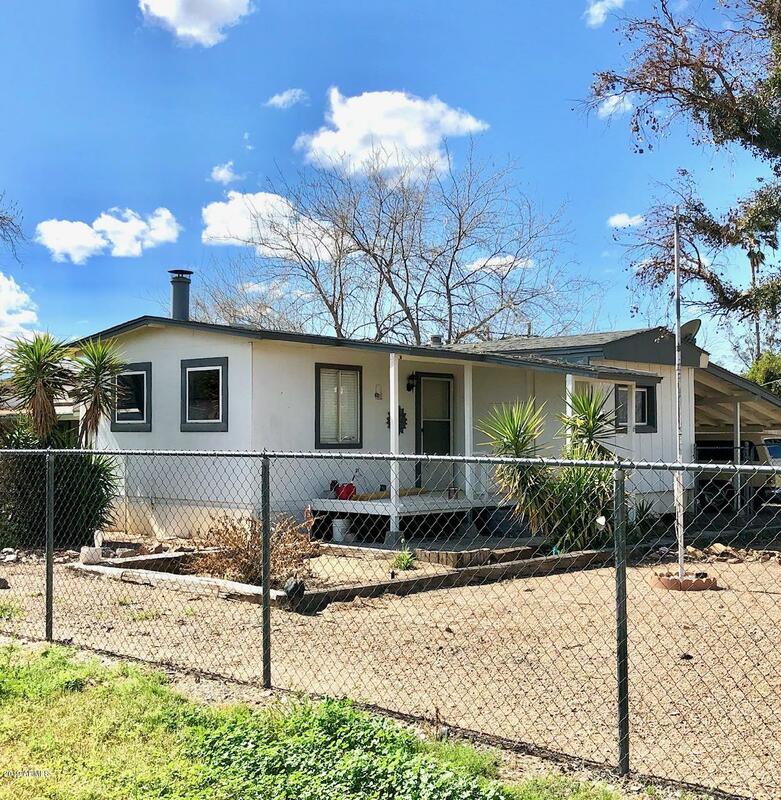 Cute and ready for you the way it sits, the work I have mentioned is for disclosure sake, n"
"Great investment property for a fix and flip or purchase for a handyman." "OPEN AND BRIGHT! This wonderful three bedrooms, two bathrooms home is all ready for you to move into...it even includes the furniture! Split floor plan, breakfast nook and bar, large laundry room, carport, very large shed and fully landscaped for easy maintenance! Located in super quiet park! Welcome Home!" "This is a 1964 mobile on 10,000 square foot parcel. Mobile would be great fix up or used for a shop. 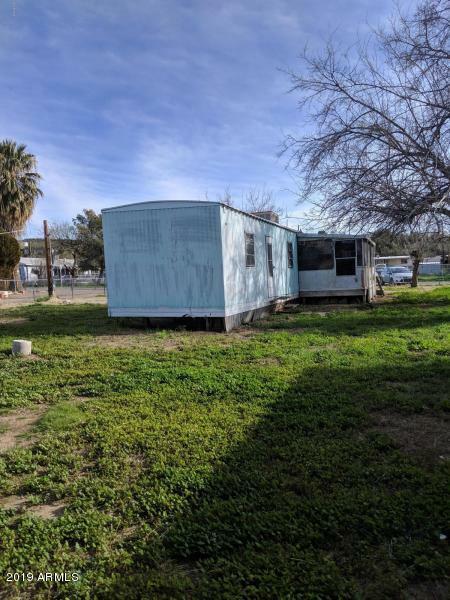 Fully fenced around the perimeter, RV Gate with concrete pad. Plenty of room to build your garage or shop for your toys. 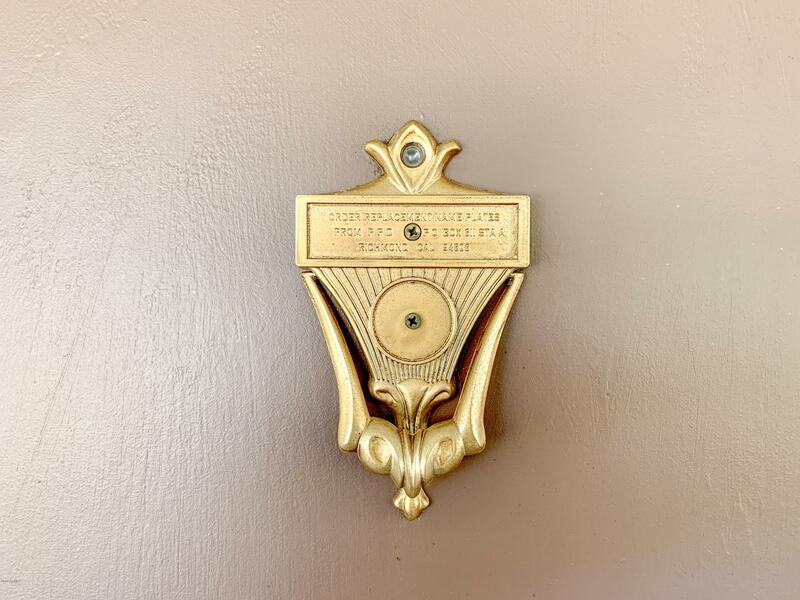 Water meter in place and up to date."